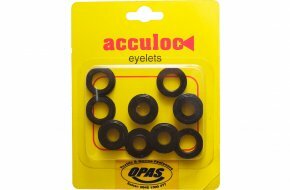 Some of our most most popular eyelet products are available in economical OPAS Easy Packs. Offering a simple way to order matching sets in smaller quantities, these cards are only available from OPAS and are great for retailers wanting to easily manage in-store displays. 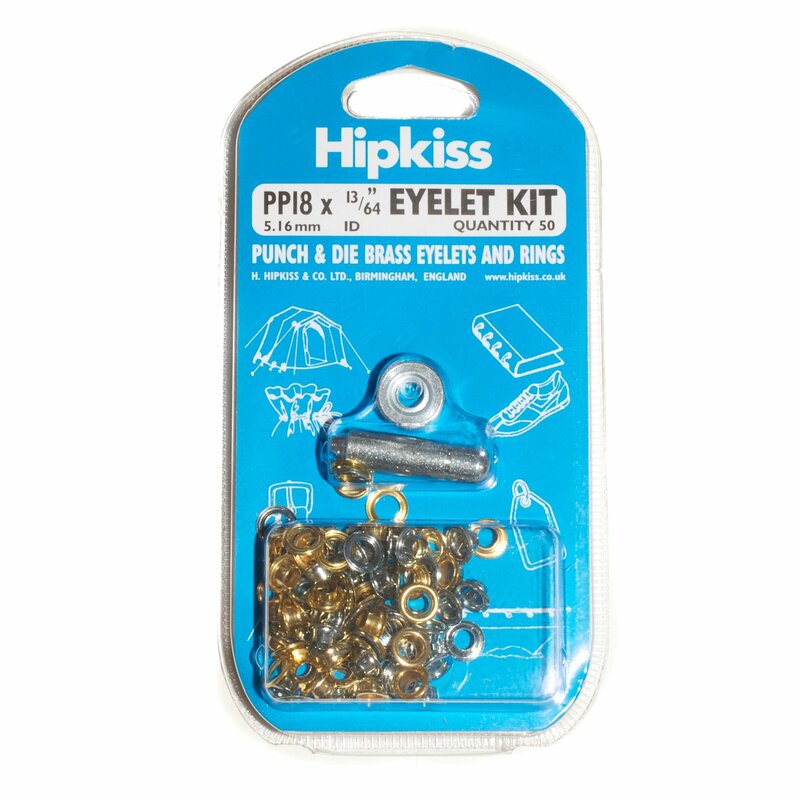 Each card contains five 2-part plastic snap-shut eyelet/rings. 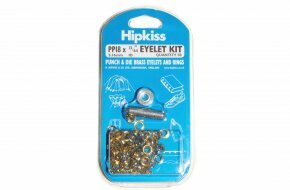 Each card contains fifty 2-part brass eyelet/rings with inside diameter of 5.16mm (13/64) with a matching hand punch and die. 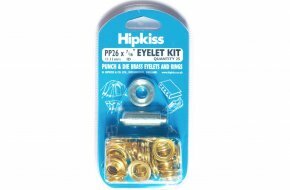 Each card contains fifty 2-part brass eyelet/rings with inside diameter of 6.75mm (17/64) with a matching hand punch and die. 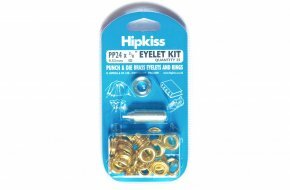 Each card contains twenty five 2-part brass eyelet/rings with inside diameter of 7.94mm (5/16) with a matching hand punch and die. 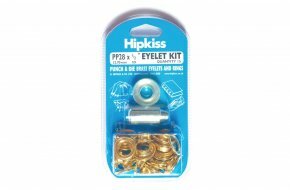 Each card contains twenty five 2-part brass eyelet/rings with inside diameter of 9.53mm (3/8) with a matching hand punch and die. 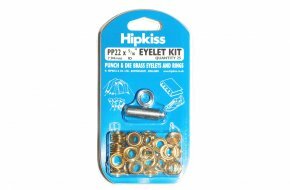 Each card contains twenty five 2-part brass eyelet/rings with inside diameter of 11.11mm (7/16) with a matching hand punch and die. 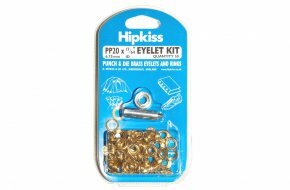 Each card contains fifteen 2-part brass eyelet/rings with inside diameter of 12.70mm (1/2) with a matching hand punch and die. 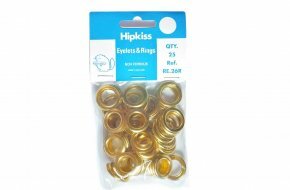 Each pack contains fifty 2-part brass eyelet/rings with inside diameter of 5.16mm (13/64). 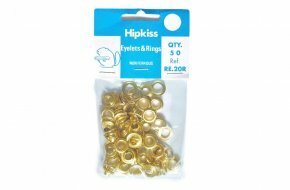 Each pack contains fifty 2-part brass eyelet/rings with inside diameter of 6.75mm (17/64). 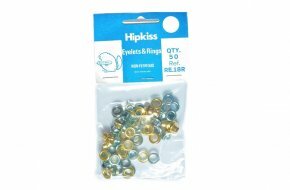 Each pack contains twenty five 2-part brass eyelet/rings with inside diameter of 7.94mm (5/16). 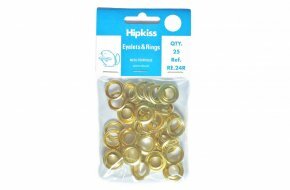 Each pack contains twenty five 2-part brass eyelet/rings with inside diameter of 9.53mm (3/8). 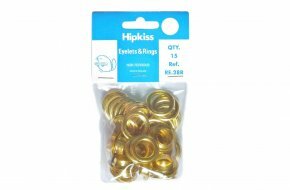 Each pack contains twenty five 2-part brass eyelet/rings with inside diameter of 11.11mm (7/16). 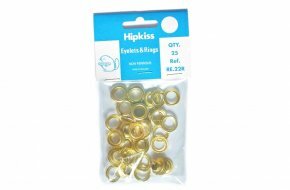 Each pack contains fifteen 2-part brass eyelet/rings with inside diameter of 12.70mm (1/2).